Marilla Walker: Christmas decoration swap - what to do! Christmas decoration swap - what to do! Sorry for being so slow with this post, but now that everyone is partnered up you may be looking for guidance of what to make. Well here is some inspiration for you! 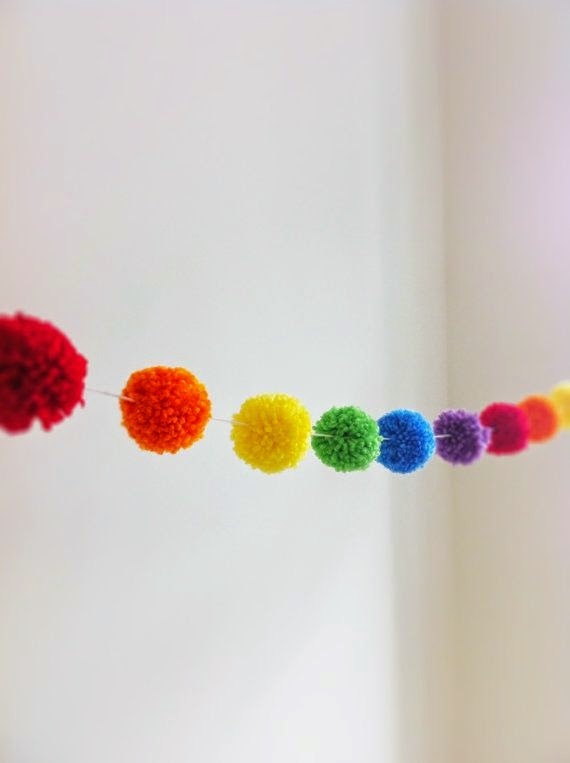 If you have scraps of wool and a pom pom maker then this cute garland is so lovely and a change from traditional decorations. 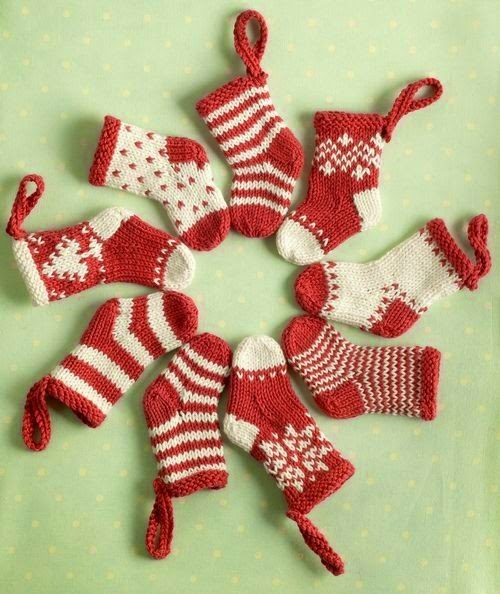 If you are a dab hand with the needles then some small knitted hanging decs are cute! I've got some knitted decorations from a friend back home and they are completely charming. They actually stay out all year because the kids like to play with them. 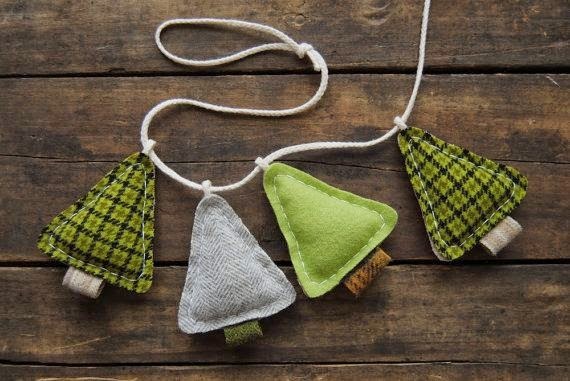 This christmas tree garland/bunting is nice and simple. The simple shapes and tonal fabrics are perfect and although a larger decoration wouldn't see you spending too long slaving over it. For me, choosing the fabrics would probably be the bit I spend the longest doing if I made this! How cool is this idea? 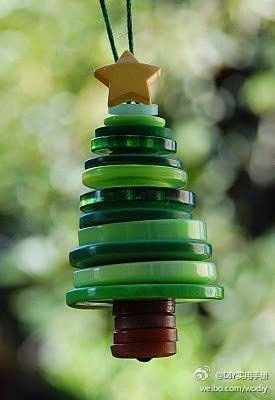 Raid those button stashes and make mini christmas trees! 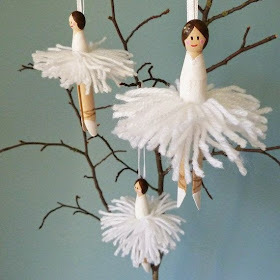 These ballerinas are sweet and I guess I want to show you that you don't have to sew, knit or crochet, but just make use of materials/skills in whatever way you wish. 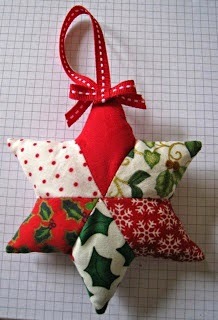 This patchwork decoration is a great idea if you were thinking of making one beautiful item, as it clearly requires some time and precision. Sometimes I get excited about making something small, but perfect. Do you know what I mean? Anyway, I hope that this will inspire you to get going if you are struggling for ideas. I have a few more on my pinterest board here. I'm not sure what I am going to do yet myself, but am feeling inspired to crack the old stamps out! It still feels early to be talking about christmas, but it's not actually that far away now. Eeek!